Guarantee Ford Mustang or your money back* - click for terms. Welcome to the Online Mustang Hire Specialists! If you are looking to rent a Mustang in Orlando then look no further, as you have arrived at the home of Orlando Mustang Rental, the No.1 choice on the web. We specialise in Mustang hire Orlando saving you time and money searching for the best deal. We simply bring all of the leading Mustang rental agents together and find your the best possible price online, cheaper than going direct. So if you are planning an American Road trip and want to rent a convertible Mustang in Orlando, just let us know when you want to pick up and return the car and we will get an instant quote from all of the leading Mustang rental suppliers in the USA! Mustang Hire for Disneyland in Orlando? It may not be the obvious choice for a rental car to load the kids and luggage into for a family holiday to Disney, however with a little careful planning on how much luggage you take, there is no reason that dad (or mum!) can't enjoy renting a Mustang in Orlando for that once in a lifetime Disneyland holiday. Comfortably seating 4 and taking 2 large cases (you might need some imaginative packing here) in the trunk, a rental Mustang in Orlando will prove surprisingly practical. Let's be honest, a rental car is only ever full on the way to and from the airport when it's loaded with all your luggage, during your holiday, so long as it's got enough space for your passengers and a boot big enough for the trip to Mall (is there ever a boot big enough for shopping? ), then any more space is just wasted. If you're holidaying in Orlando, you'll likely want to take a day off from the theme parks and enjoy more that the sunshine state has to offer. 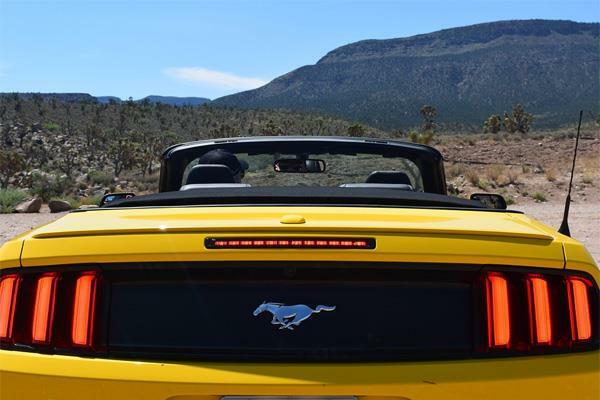 Renting a Mustang in Florida opens up a whole world of opportunity to enjoy your break with the roof down, wind in your hair and THAT V8 as a soundtrack. As Mustang Rental specialists, we can help you find the right Mustang for your trip, whether you want a convertible or a coupe mustang we will find the best price for you. Whilst other car rental websites may offer a wide range of cars to rent in Orlando, if you want a Mustang or another American muscle car, then we are the choice for you. We have over 500 locations in the USA where you can rent Mustangs including Orlando, so don't settle for anything less on your American Road trip, book Mustang rental in Orlando today and see how little extra you pay to drive an American legend. All of our Mustang rentals can be customised to suit your needs, from additional drivers to child seats and GPS, we can arrange the little things that make a big difference to your rental, making sure you get exactly what you need to make your trip a great one. Whether you are travelling in a group or a couple, a convertible Mustang will really get you off on the right foot. Even for families or business travellers, arriving at your destination in a Mustang will make a great first impression and turn an otherwise arduous journey into a memorable one. Feel the breeze in your hair when you rent a convertible Mustang in Orlando. Mustang Hire - All Rights Reserved. © mustang-hire.com 2018. All rights reserved.